Our local WI was formed in 1918, one of the very first in the country. The original purpose of the WI was to encourage women to get involved in food production during the First World War. Early meetings were held in the White Horse but in 1919, a redundant army hut was erected on land provided by Leconfield Estate, the site of the Village Hall. For the next 70 years the WI Hut played a central role in village life. It was replaced by the present Hall in 1992 following a stirling fundraising effort by the village. Between the wars, the WI contributed to village life with monthly meetings, whist drives, a folk dance club, plays and entertainment. During the second World War, the WI once again contributed to feeding the nation and in Sutton the WI organised cooking demonstrations and a food exchange, the land behind the hall was used to grow produce, while ‘canning days’ ensured nothing was wasted. The WI adapted to post war changes, broadening the range of topics covered at meetings, holding meetings in the evening to which all were invited and offering varied outings. Even so, membership has fluctuated. In 2000 it dropped as low as 22 but revived in the following years thanks to an influx of enthusiastic members from Bury and West Burton. However in 2018, we had again dropped to only 18 members. Meetings were well attended and the membership still enjoyed the friendship of meetings and outings but it proved impossible to find officers and a committee from such a small membership. It is with great sadness that our AGM in November the WI voted to suspend the group. For 100 years the WI has played an important role in our villages. Our meetings have covered an astonishing range of subjects, from women’s co-operatives in Gaza to piloting Concorde, from Islam in Britain to beekeeping. We have had memorable outings including backstage at Covent Garden and the Globe Theatre, visits to Highgrove and Bletchley Park. We do not want to lose the friendship and entertainment the WI provided. To that end, we hope a new group will fill the gap. It will not have a membership or subscription; meetings and outings will be open to all. To provide some continuity from the WI, it will meet on the first Wednesday of the month and will be known at 1st Wednesday (1W). Our first meeting will be a special menu lunch at the White Horse in Sutton, January 9th 12.30pm. Please look for the programme in future Village News and on the this website. 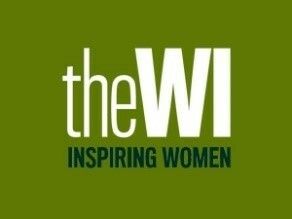 I hope everyone will support the 1W so it can contribute as much as the WI has over the past 100 years.